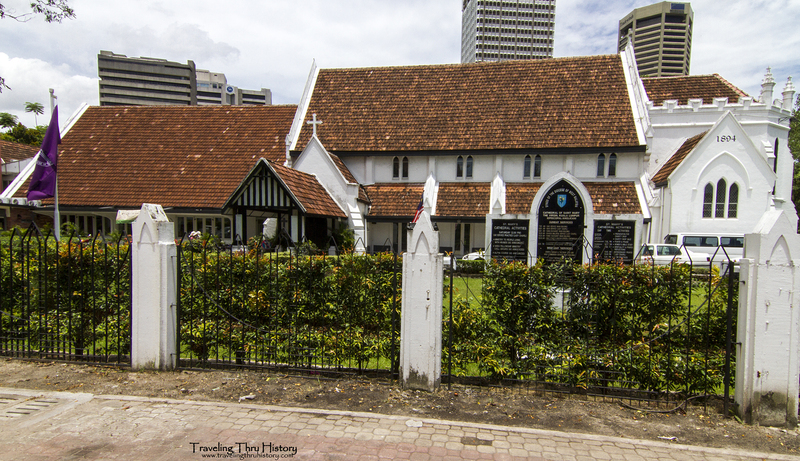 While I was out wandering around Merdeka Square one day, I glanced across a small side road and happened to see this cute little church hidden behind a fence covered in ivy. 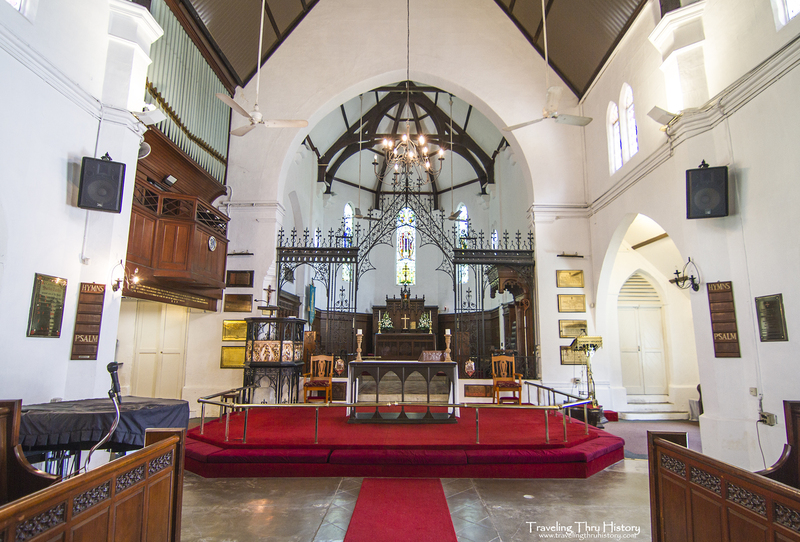 Since it is somewhat unusual to see Christian churches in Malaysia and the year on it marks this one as quite old, I just had to go over and investigate. This church is so quaint. I love it! Cathedral Church of St. Mary the Virgin is an Anglican church that was commissioned in 1893 when the original building became too small to hold the growing congregation. The original chapel, named St. Mary’s Church, was built in 1887, made of wood and only held 95 people. 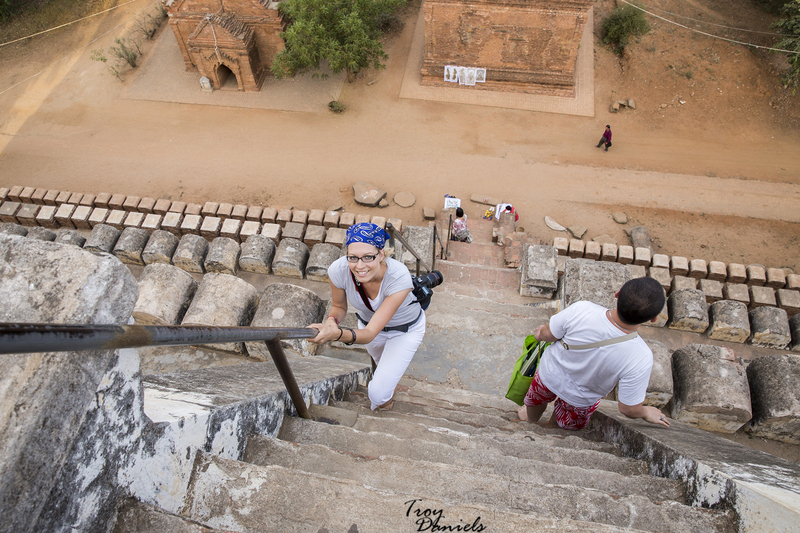 It was located on the top of a hill called Bukit Aman, which was a quite a bit out of the way. 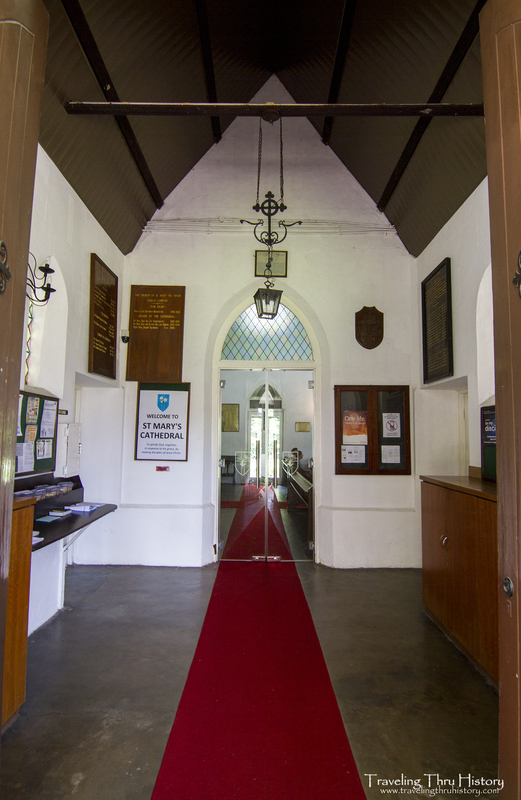 Once the chapel from 1887 became too small to hold the growing congregation it was decided that the new church would be built in the center of town, next to Merdeka Square. Several designs were put forth for the new building, but none of them struck the fancy of the committee and a government architect was finally called in to design the new church. A.C. Norman suggested an Early English Gothic Style design satisfied the committee. I think it turned out fabulous. Construction began on the church on February 3, 1894 and was completed on February 9, 1895. A ceremony was held on February 3, 1894, to lay the foundation stone for St. Mary’s Cathedral. The stone was laid by Sir W.H. 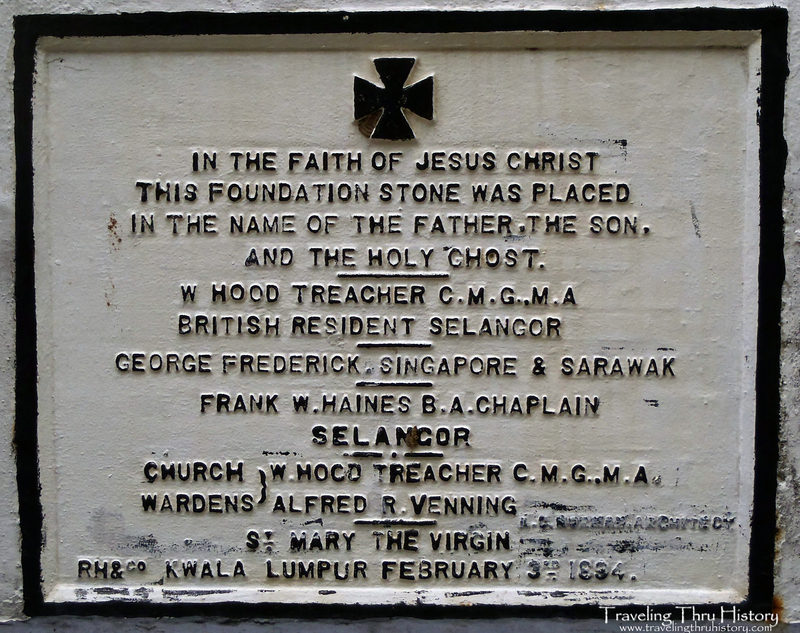 Treacher, a British resident of Selangor, and the ceremony was presided over by Bishop G.F. Hose. Another ceremony was held on February 9, 1895, to consecrate the church, presided over again by Bishop G.F. Hose. 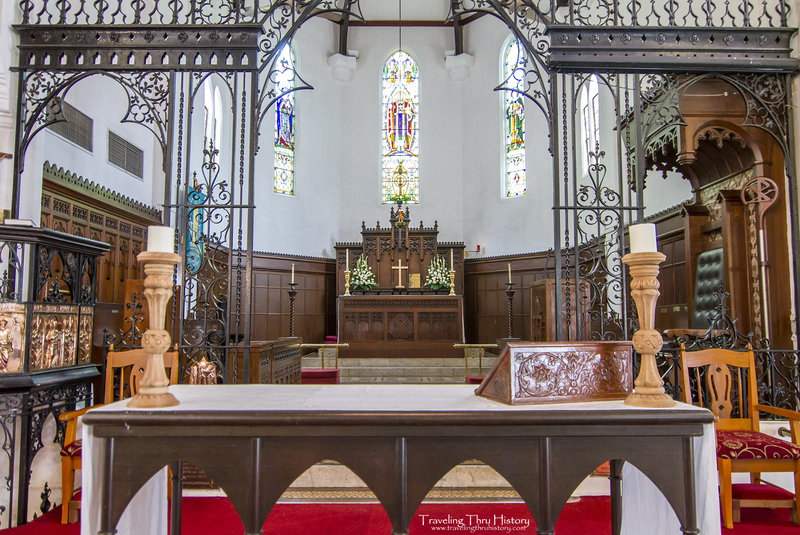 The completion of this church marked the first brick church built in the Malay Peninsula. Going inside the church felt like walking into the past. The whole church is just absolutely beautiful. The inside is pretty close to what I imagined for the inside of a gothic chapel. I was expecting it to be a bit more dark and dreary, but the whitewashed walls brightened things up a bit. Aren’t these chandeliers just amazing? I also love the vaulted ceiling. 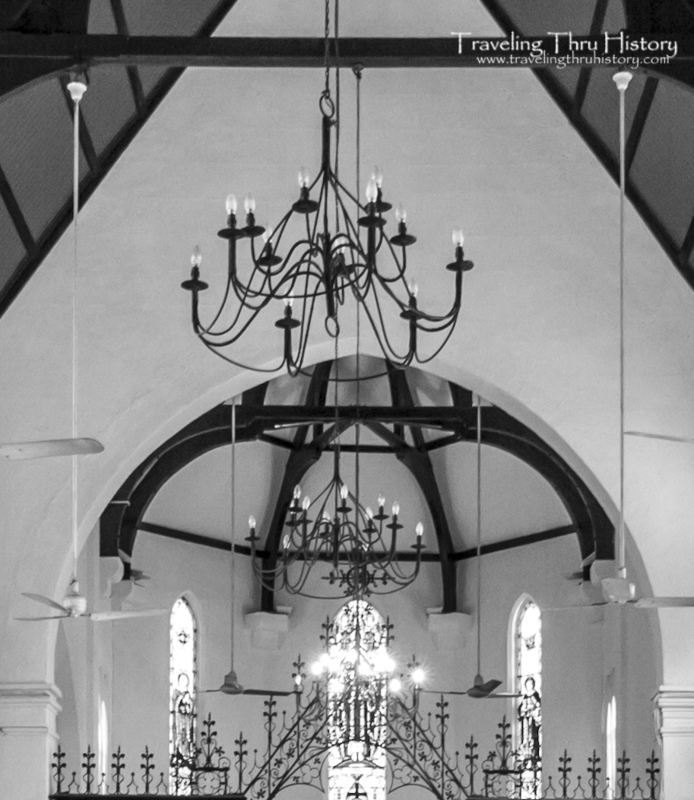 The pews and ceiling are made from merbau and seriah wood. The aspe is designed beautifully. I love the wrought-iron gating and the stained glass. Isn’t this just beautiful? I read a sign at the chapel that said the stained glass panels were removed during WWII to protect them from the bombing, but they couldn’t be located after the war, so new panels had to be commissioned. I think they turned out quite lovely. Part of me wonders if the old panels will just show up someday, all covered in dust in someone’s basement. The church stayed mostly the same (aside from minor repairs and such) up until 1958 when the nave was extended to admit a larger congregation. This addition is called the Jubilee Hall. Between 1968-1969, a two-story annex was built to allow for an upper room, administrative rooms and an office for the Vicar. They also replaced the previous residential building, a wooden house in stilts, with another add-on to the church that included utility rooms, a kitchen and living quarters. 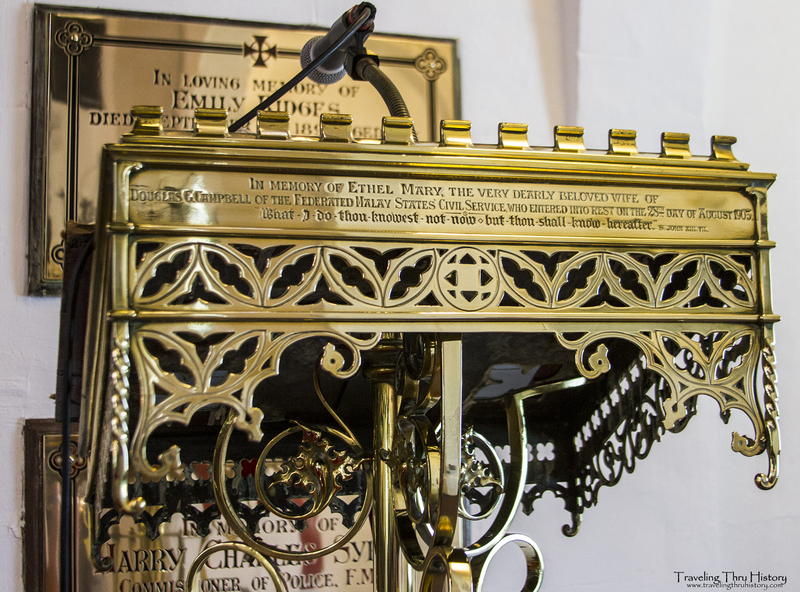 Even with all of the changes around the church, it’s really fascinating that all of the memorial placards and items around the church have stayed and are in pristine condition. On September 8, 1983, the church officially changed it’s name during the Feast of St. Mary the Virgin. 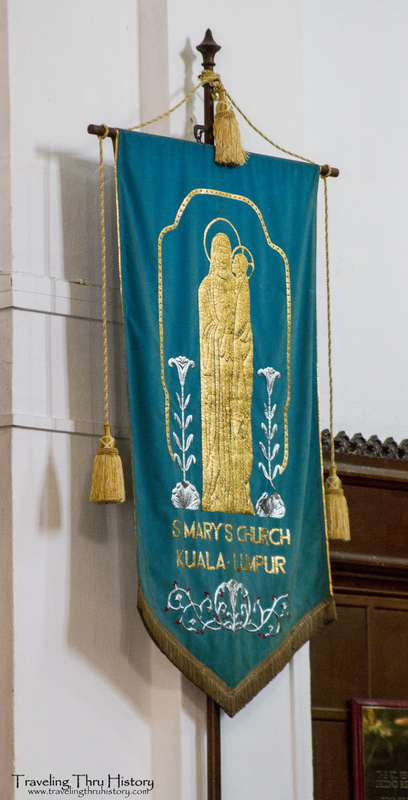 The new and current name of the church is Cathedral Church of St. Mary the Virgin. During 2006 and 2007, additional rooms were added to the church. These included new offices, a library and an apartment. This church is absolutely beautiful and totally worth a visit. It’s a small church and doesn’t take up too much time. 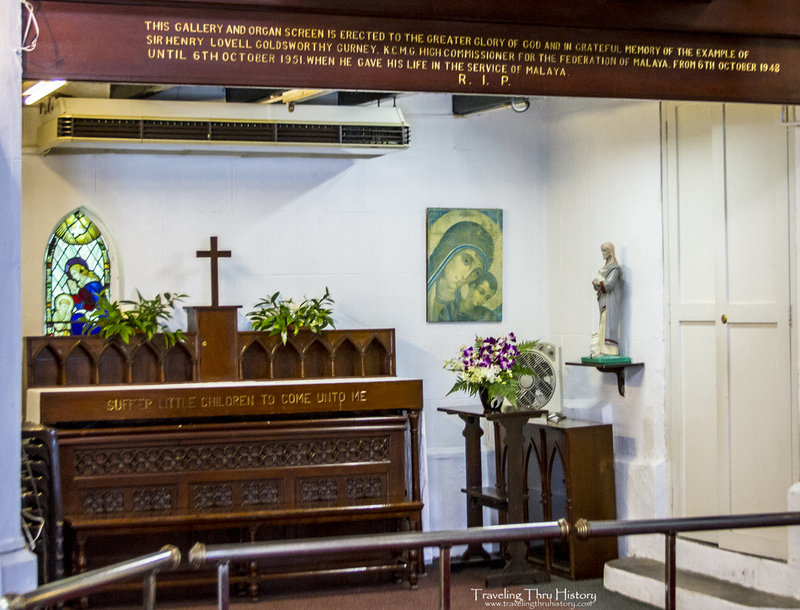 To get to the church, you can take the LRT to Masjid Jamek and then walk a few streets over to Merdeka Square and across a little side road to the church. Or you can take a taxi there. Wow that is the most beautiful church I have ever seen. I would love to see it in person someday. This is indeed a beautiful church and I have never see such a design like this one. I would love to see this in person some day. The design is so gorgeous and it suits it just fine. I love your amazingly gorgeous photos and thanks so much for sharing. Oh wow. Wonderful. I actually love going to different churches and seeing how it is… and everything. Such so.. holy. This church brings me back to my old catholic school days, we were raised and taught by Nuns, if you believe it! Even studied the bible (I think) inside a church similar looking to this. That is one beautiful church. It is just magnificent. I love the stained glass and the natural wood. Old churches are beautiful. So much time that seems to have been put in them. Holy moly that’s a beautiful little church. The inscriptions are touching. I wonder where the old windows are? What a beautiful cathedral! I love to visit older cathedrals when we travel the building is always beautiful! What a beautiful church, the inside is absolutely gorgeous, all the decor is unbelievably beautiful. Oh it looks beautiful! I love the natural light that comes in and the stained glass. It’s a classic! What a gorgeous church! I love all the old cathedrals. The stained glass and the statues are beautiful. What a gorgeous little church! It looks like a little hidden gem, to discover. Hmm. Yeah, I don’t think I saw a church when I was in Malaysia early this year. 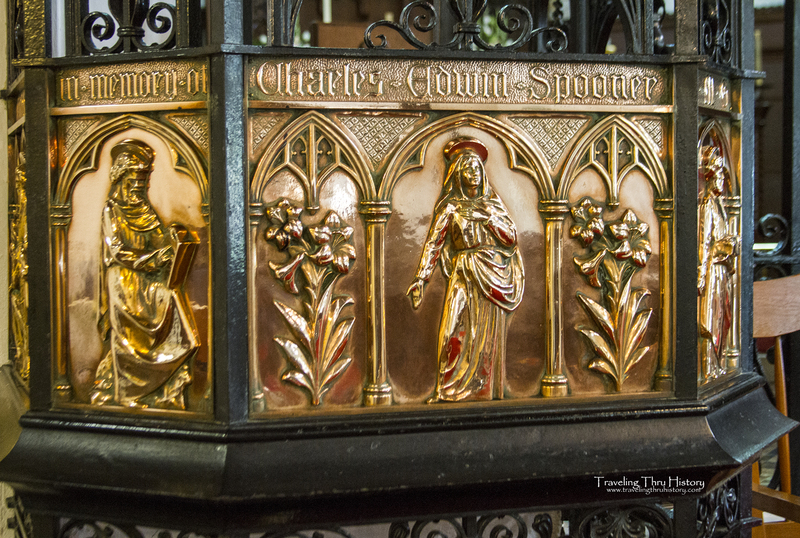 Churches always have tons of stories to tell – so much history in most of them. What a beautiful church. I admit I’m not a very religious person but there is something I love about old churches. This church is beautiful. I love see old churches. Churches always hold a ton of history especially if the church is caring for the community like they are supposed to. What a lovely and touching discovery. Glad you took the time to go inside and share. 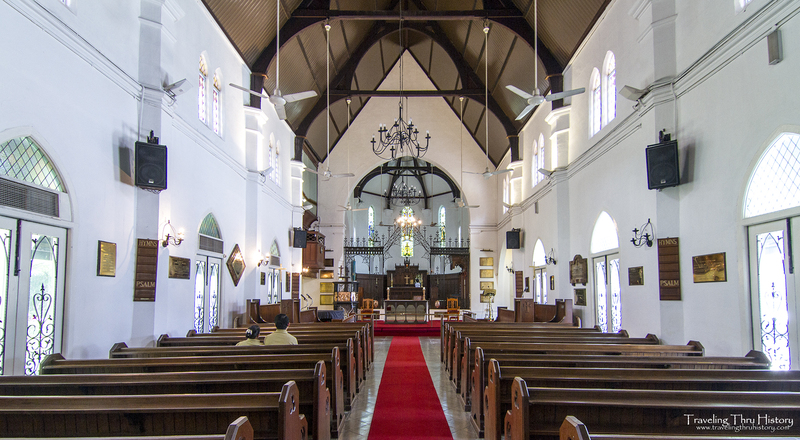 There are similar churches and cathedrals in Jakarta; left over from the Dutch. A great reminder of how much the world has changed and excellent fodder for someone interested in history like yourself.